May 08, 2017 | By CENS | ELE SHINE METAL INDUSTRIAL CO., LTD. Since its inception in 1981 in Taiwan's central county of Changhua, Ele Shine Metal Industrial Co., Ltd. has been specialized in production of various industrial parts with CNC (computerized numerically controlled) machines for over two decades. Ele Shine employs advanced production equipment, such as CNC compound expression manufacturing machines, automatic lathes and machining centers, at its 60,000-square-meter production factory in Taiwan, turning out a wide range of industrial parts, including bicycle parts, computer parts, auto and motor parts, and precision metal parts, as well as hardware products and tools on an OEM (original equipment manufacturing) basis. The firm is technically capable of applying a variety of raw materials, like copper, iron, aluminum, stainless steel, Teflon and other industrial plastic, to production of industrial parts to meet customers' requirements. Also, aided by CAD (computer- aided design) technology, the company can independently and efficiently develop products on an ODM (original design manufacturing) basis. 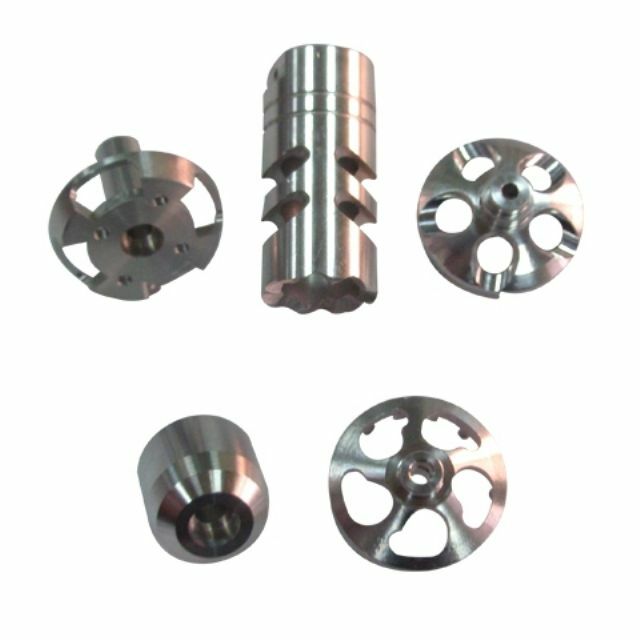 Ele Shine's precision-machined metal parts features high quality.